Last night at BSM, Evan Hansen led us in meditating on 1 Corinthians 12:1-13. Love is an action, not a feeling. The love of God is a life-changing gift that calls us, transforms us, and changes the narrative of our lives. Listen to the sermon..
Last night at BSM, Rev. Laura Colee led us in meditating on 1 Kings 22:6-9, 13-14, 17-18 and Mark 11:15-18. On Prophet Sunday, we explored how prophets speak truth to power, and how the powerful try to silence the prophetic truth tellers of the world. Listen..
Last night at BSM, Rev. Laura Colee led us in meditating on John 5:2-9. Honoring MLK, we are challenged to confront complacency. God calls us to trouble quiet waters; seeking justice and peace for all. Listen to the sermon here. The faith community lifted these..
Health Partners Plans (HPP) is a not-for-profit health organization and a leader in managed care. This year, they formed a groundbreaking partnership with Broad Street Ministry and Philadelphia FIGHT, who use 315 S. Broad Street as a satellite medical clinic. HPP supports those struggling with..
Last night at BSM, Rev. Ann-Therese Ortiz led us in meditating on Luke 3:1, 10-16, and 21-22. God embraced and called Jesus beloved. God embraces us. Can we listen for God's word of beloved-ness to us? Listen to the sermon here. The faith community lifted these prayers to.. 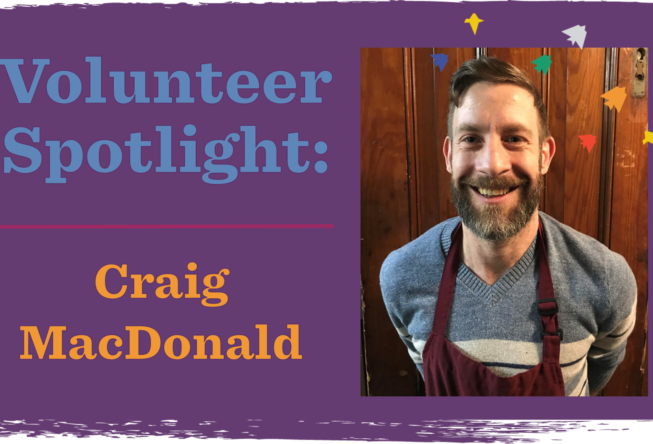 This month’s volunteer spotlight, we are highlighting Craig, a wonderful volunteer and self-declared food network binge watcher! Last fall, Craig needed to take some time off work and discovered he had some extra time on his hands. Not being one to sit around, he began..
Last night at BSM, Rev. Laura Colee led us in meditating on Matthew 2:1-11 where blessings flow. Let us see the giftedness and sacredness existing within every person! Listen to the sermon here. The faith community offered these prayers to God: Help me restore communication with those I..
Last night at BSM, Rev. Laura Colee led us in meditating on Colossians 3:12-17 where folks clothed in "compassion, kindness, humility, meekness, and love" give us hope and joy in a difficult world. Reflection Question: What virtue do you wear today? The faith community lifted these prayers..
Last night at BSM, Rev. Laura Colee led us in meditating on Luke 2:1-7 where Jesus is born under cover of darkness; acknowledging the pain, sweat, and fear that accompanies bringing new life into the world. 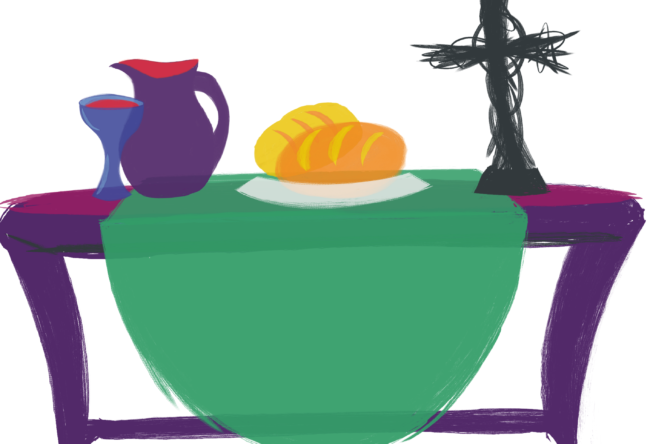 Reflection Question: What new thing is being born in your..
Last night at BSM, Rev. 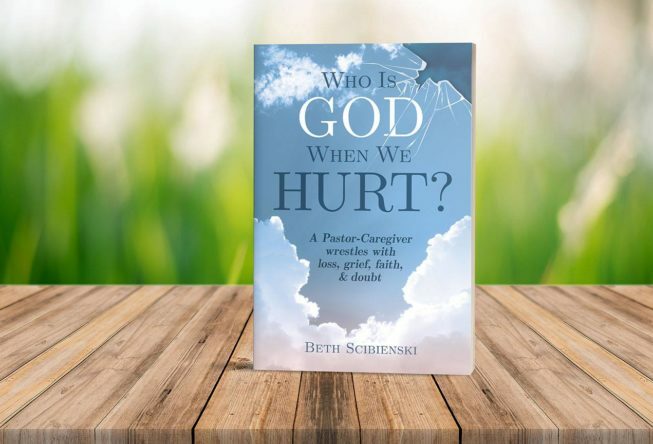 Beth Scibienski led us in meditating on Luke 24:1-12 and shared parts of her book, "Who Is God When We Hurt?" Reflection Question: Who stays with you in dark and uncertain times? Listen to the sermon here. The faith community lifted..